Defend against chilliness with a sleeping bag that delivers impressive warmth. 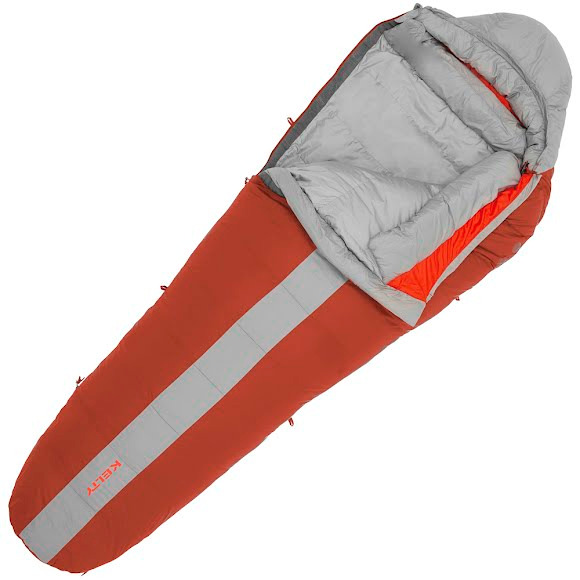 The Kelty Cosmic 0° Down Sleeping Bag is back and better than ever for 2016 with a new style and improved features. 600-fill hydrophobic DriDown™ insulation offers water resistance and loft that old man winter just can't match. Defend against chilliness with a sleeping bag that delivers impressive warmth. The Kelty Cosmic 0° Down Sleeping Bag is back and better than ever for 2016 with a new style and improved features. 600-fill hydrophobic DriDown™ insulation offers water resistance and loft that old man winter just can&apos;t match. There&apos;s also a durable down proof polyester ripstop shell and polyester taffata liner, and thermal comfort hood to keep you extra cozy when the mercury drops. Why worry about shivering when you have better things to do? Like sleep. Max User Height Regular: 6', Long: 6' 6"
Stuffsack Size Regular: 9" x 17", Long: 9" x 18"